jacques cousteau google doodle | six words to change the world. 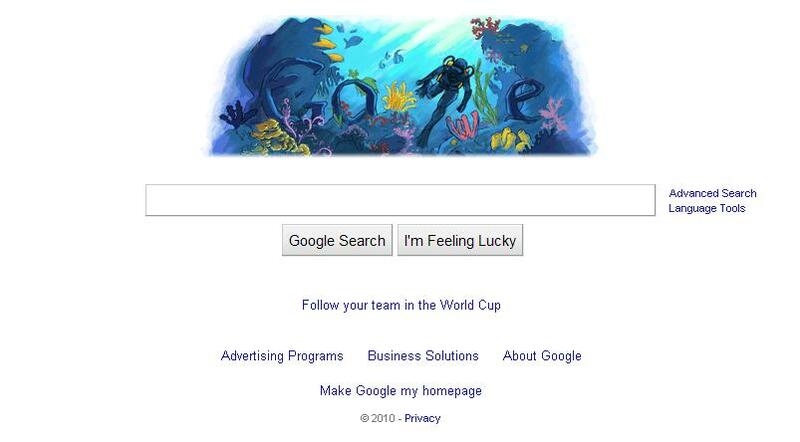 Today’s Google Holiday: Happy 100th Birthday Jacques Cousteau! Now, does it count as a birthday if the person is dead? I’m not sure I can support the phrasing of this holiday. They should have titled it, “It Would Have Been Cool If You Were Still Alive, Jacques, Because Then You Would Have Been 1oo!” Then again, if I had worked for Google, yesterday’s National Iced Tea Day and the second anniversary of this here bloggie (!!!) on June 9 would have been featured. They’ll get their priorities straight eventually. Jacques might have done cool stuff in the ocean, but Kathleen and I post funny videos that other people made. I really don’t understand the difference. It’s fun, like Fridays are fun! Have a good one!